R.U.R. stands for Rossum’s Universal Robots, and it’s a play by Karel Capek. (I just recently picked up a translated version of it in paperback, in fact.) 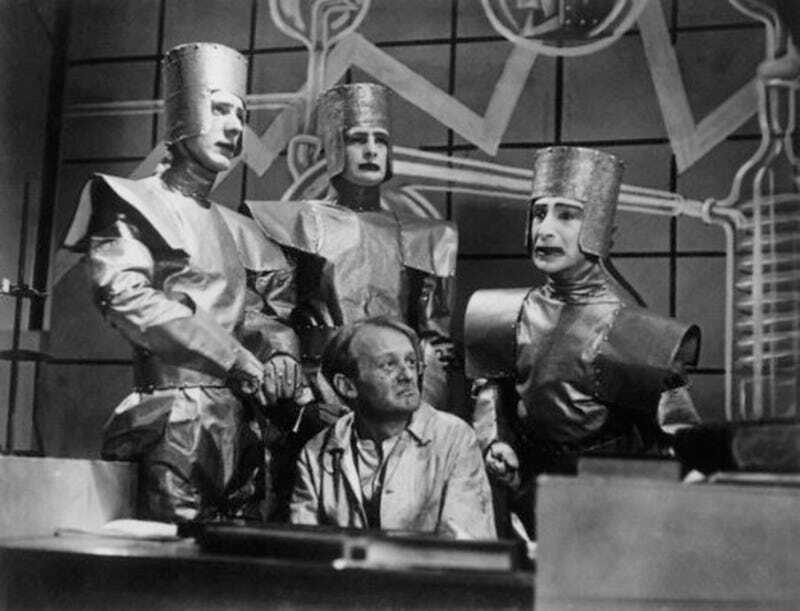 In the play, “robots” are artificial humans created in a factory, although the “robots” are largely biological and have normal circulatory systems and other organs. These creatures are seen as appliances, until they rebel—giving us the first template for the “robot uprising” in pop culture. Sadly, no recordings exist—and although the image above is often posted online as coming from the BBC production, I’m not 100 percent sure that’s the case.